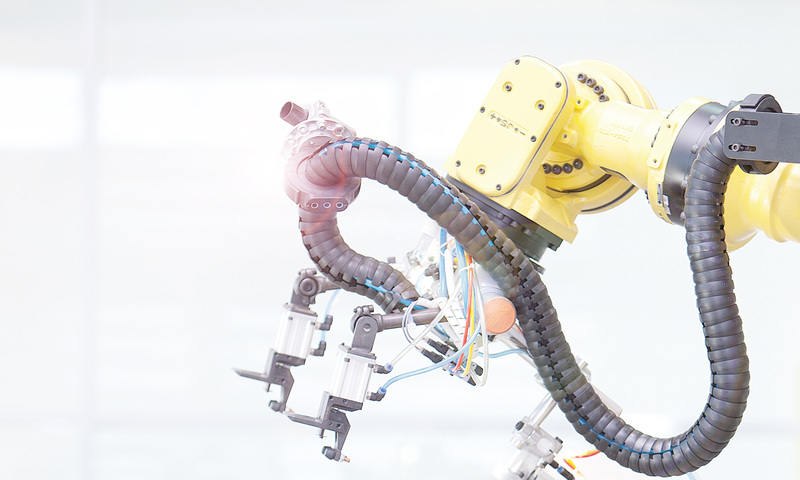 There is always debate of which sensing technology is better to use over a broad range of applications. And for the photo sensor world, BGS or background suppression is one of these. 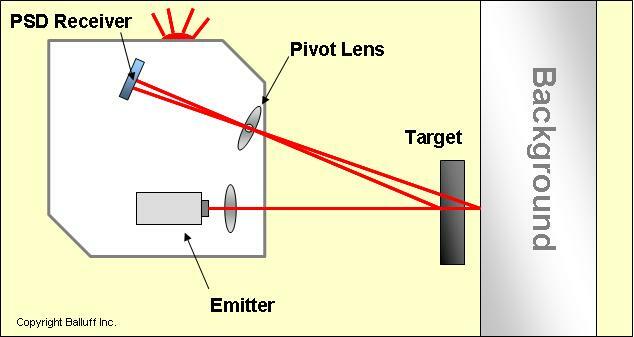 What many users don’t realize is that a background suppression photo sensor is what I will argue as a refined offshoot of the diffuse photo sensor principle, meaning the photo emitter and receiver is in a single housing and it uses the object or target as the reflective source. I say refined because it still uses a basic diffuse methodology, but has added technology that allows for a very specific response/detection zone based on the setting of the optics. One of the biggest advantages of this methodology is that unlike a diffuse sensor, the reflectivity or color of the background vs. the object can now be isolated. For example, regardless of the background’s high reflectivity because it is outside the triangulated response path of light (in the cut-off zone) to the PSD, the PSD does not receive strong enough light returning. This eliminates dependence on color in the detectable objects. As long as the object is inside the triangulated light response zone, it can be detected. These advantages overcome the limitations or variabilities of a standard diffuse sensor which can be affected by background reflectivity or the darker color of an object. Background suppression sensors are typically more expensive than a standard diffuse sensor, between 20% to 35% and typically have a smaller sensing range. But the degree of reliable detection is significant, especially with reflective backgrounds in applications like conveyor systems, rotating or turret systems and part detection on assemblies. For examples of Balluff’s background suppression photo sensors click here.